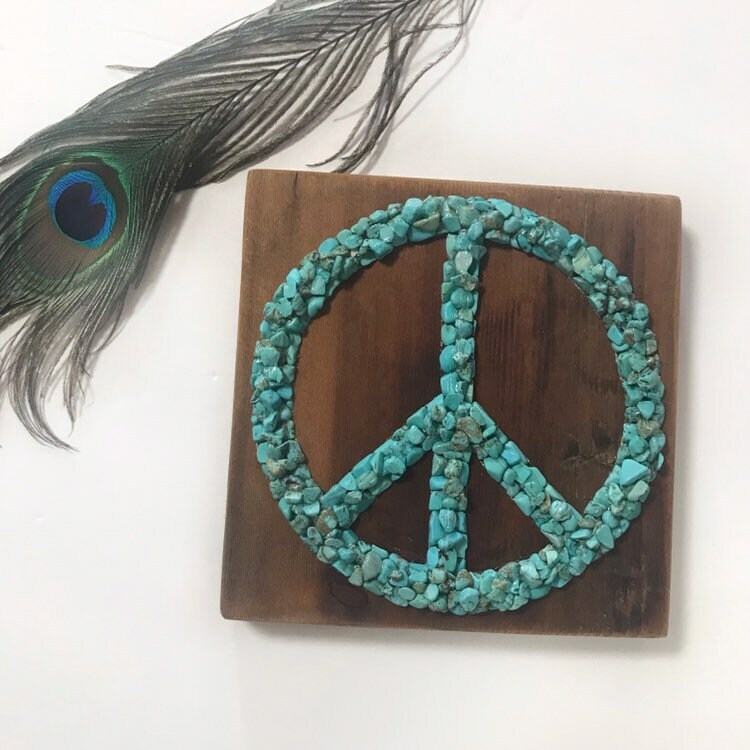 Hand sanded and stained reclaimed Colorado barnwood with mosaic turquoise chip peace sign. Can free stand or be hung on the wall. Handmade with love in Colorado.